Who doesn't love noodles? They're fun, filling and nutritious—and a pleasure for people of every age. 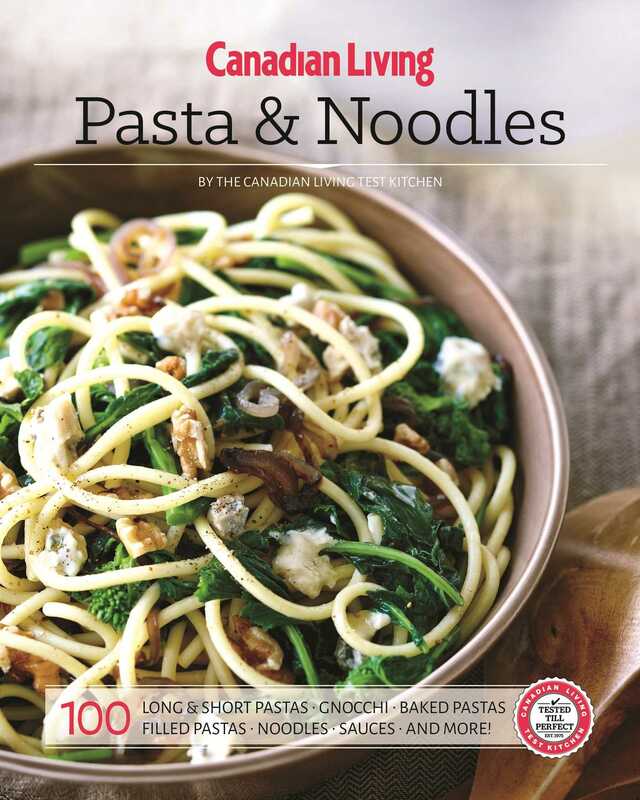 Now you can add dozens of tasty, new pasta and noodle dishes to your repertoire, thanks to the food specialists in the The Canadian Living Test Kitchen. In this book, you'll find 90+ Tested-Till-Perfect recipes based on noodles of all sorts, including white pastas, whole grain pastas, gluten-free pastas, rice noodles and buckwheat soba noodles. You'll find traditional Italian dishes (including our Ultimate Lasagna), zesty Asian meals (such as Gluten-Free Pad Thai) and much more. There is also a selection of sauces and pestos to make and save for later. The food specialists in The Canadian Living Test Kitchen also shares their expert advice on buying, prepping and cooking pasta perfectly. With their helpful tips and a few simple ingredients, you'll be cooking like an expert, and your family will be saying "More pasta, please!"